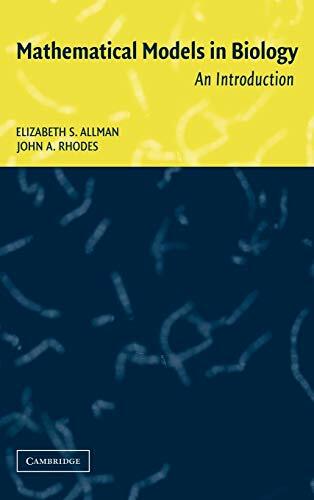 This introductory textbook focuses on discrete models across a variety of biological subdisciplines, including linear and non-linear models of populations, Markov models of molecular evolution, phylogenetic tree construction from DNA sequence data, genetics, and infectious disease models. The book is suitable for students at a calculus level, but assumes no calculus. Self-contained development of mathematical topics, such as matrix algebra and basic probability, is motivated by the biological models. Computer investigations with MATLAB are incorporated throughout, in both exercises and more extensive projects, to give readers hands-on experience with the mathematical models developed. 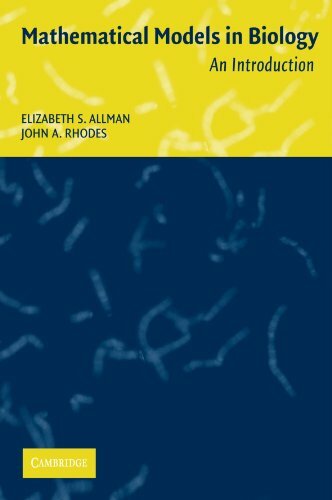 Allman, Elizabeth S.; Rhodes, John A.